A place for families in the heartland. Far from the interstate highways and the hustle of the city, in a beautiful landscape of dramatic cliffs, winding rivers, and fertile valleys, there’s a lively community of people who share a dream of a simpler life. A life lived in harmony with nature’s rhythms. A life in which friends live and learn together, sharing their struggles and triumphs. A life with children, family, and community at its very heart. Thirty-eight years ago, a few of these families founded a school. Their vision was to build a child-centered educational community that reflected the values they held dear: reverence for life, for learning, and for the children themselves. Learn more about our 35th Anniversary celebration and memories here. From its humble beginnings as a one-room schoolhouse with three students and one teacher, Pleasant Ridge Waldorf School has grown to serve nearly 160 children in kindergarten through eighth grade. But while our school has grown, we remain true to our founders’ vision of providing a balanced educational experience that instills in children a respect for nature, a strong sense of community, and an abiding appreciation for the value of service. We are fortunate to have a wonderful video series describing our school and our community. 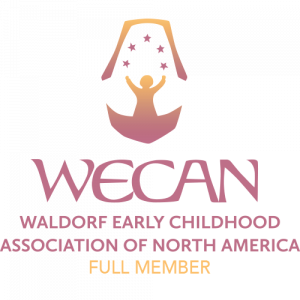 A full Waldorf curriculum, carried by dedicated and compassionate teachers, staff and parents who tend to the dignity and well being of the children, helping them develop physically, emotionally, intellectually and spiritually. A safe and beautiful physical environment, overseen mindfully and carefully by all of the adults in the school community. A harmonious and diverse school community that is ecologically sustainable, financially responsible, morally diligent, socially renewing, and spiritually striving. A strong, vital and self-renewing pedagogy centered in anthroposophy and living within a community of loving human beings who hold deep reverence for each other, for themselves, for nature and for the spiritual world.